We recently met with Maria Juan, Vice President of Marketing at Peerfit, a fully distributed company working from Anywhere. 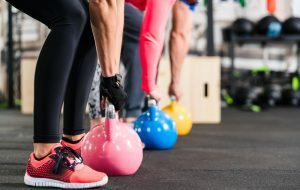 Peerfit connects employers and carriers with innovative fitness experiences. They aim to redefine wellness and fitness at work by creating a built-in community. With a Peerfit package, employers can view progress online while employees attend a variety of different classes and studios with their colleagues. Peerfit encourages the comradery, bonding, and social aspect of fitness. Maria has a background in arts administration, specifically focused on dance. It is this unique perspective and creative skill set that allows her to create successful campaigns to help Peerfit reach a national audience. For those who don’t know, what is Peerfit? What is the purpose behind the work you do? We really set out to disrupt what people thought when they heard the word ‘wellness’ in terms of the benefits that were provided to them. A lot of the time, companies were giving their employees access to their local Big Box Gym or biometric screenings or even gift cards as part of their wellness program. But that really didn’t engage users, it didn’t make anybody really excited. They didn’t really want to take advantage of those offerings. So, when we started out, we thought, ‘Regardless of where they are at in their activity levels or fitness journeys, people love being active when they’re with their peers.’ Hence the ‘peer’ in Peerfit. We really wanted to supply offers for employees to be able to have access through flexibility and personalization and the power of choice. We wanted them to be able to choose where they wanted to spend their wellness dollars that were being supplied to them by their employer. What makes Peerfit different from other companies promoting wellness and fitness? Flexible fitness is nothing new. There are a lot of companies out there who say they do flexible fitness where you can hop around from studio to studio. That’s not really the concept that is breaking into the industry. What we bring to the table is the built-in community. When you join Peerfit, you’re not just going in to choose from a network of studios. You get to bring your co-workers along with you, you get to bring your peers along on your fitness journey. You can send and accept invitations or lean over your cubicle and invite your buddy to the next Zumba class that you want to try out. So, when you sign up, you’re not just signing up for an account, you’re joining a family of people who are all on this track together to be active and live healthy lifestyles. Tell me more about your role within the company. What do you enjoy about your job? My role is really rewarding. Just being a part of the company has so many amazing benefits. I love marketing; it’s my passion. But, besides that, when you wake up everyday and you feel like you’re making a difference in people’s lives, I think that really helps. I don’t think it would matter what I was doing for Peerfit. Just the fact that I feel like I’m making a difference to people is what’s really rewarding. And it just so happens that I get to do marketing which is a passion of mine. I started with the company when I was six months pregnant and I started as an hourly, part-time marketing strategist. Since then, I’ve been able to grow with the company and being part of that growth is amazing. Knowing that I’ve been able to help out however little or however big has been really amazing for me. Peerfit is a fully remote company. How do you manage to stay connected with your team when working from Anywhere? Well, we Slack all day long. We’re constantly talking to each other through this messaging tool. They’ve really built it specifically for remote companies. So it’s really easy to continue to communicate with your team members. We also use Google Meet for in-person phone calls when we want to do video conferencing. Sometimes we just want to see each other’s faces! So, doing a Google Meet is really great to try and touch on that. And every now and then, I’ll just pick up the phone and send text messages or even snail mail. Sometimes I send out thank you letters and gift cards to my team. So, there’s so many different ways that we can communicate and we try to take advantage of them all. Of course, the few and far between chances we do get to be together, we definitely try to squeeze in a workout. Any time I get a chance to see my co-workers face-to-face, the first thing we do is schedule a workout so we can go together. Communication is key, whether you’re remote or not. But especially in a remote company, you need to be a great communicator. You have to be really clear and concise in how you type and how you message people. But sometimes, everything gets lost in translation when it’s not voice-to-voice or face-to-face. So, there are times when we could be having full conversations in Slack and we realise we need to have a phone call or a video call. How does being a fully remote company impact the business, your customers, and you personally as the Vice President of Marketing? The way we’ve been able to look at it with having a remote company is our customers are getting the best of the best because we’re not relegated to one area or one town or even one state. We’re able to pick and choose and bring employees on who are going to be the best at their job. So, this way, we’re not focused on where they live or the set hours they need to come into an office. We can say, ‘You can work where you want, as long as you’re the best at what you do’. The people who are going to benefit from this most is going to be our clients because they know we’re selecting the cream of the crop regardless of where people are living. That is definitely one of the best things about being in a remote company is that you can seek out some really great talent without location being a factor. I live in a small town in Gainesville, Florida, and I wouldn’t be able to live here and work for another company if their office was far away. Anywhere companies are on the rise around the world. Do you think perceptions around flexible and remote work are changing? Do you think more people should be working from Anywhere? I want to be able to say that the perception is changing. But I don’t know that it is because there are still a lot of companies out there that are really stringent on having an office and having set office hours. What I can say is that people should really consider it or at least start the process of allowing their workers to work remotely on some kind of flexible schedule. The perception is that people who work remotely or have flexible schedules aren’t as productive. That’s not true. It’s the opposite! Sometimes, we actually tend to overwork ourselves. Some days, I’ll get up from my desk and it’s ten hours later and I haven’t even realised that the day has passed me by. We need to start hearing more about the success stories behind remote companies and how they’re able to really thrive being fully remote. Then I think people will start to grab onto the concept. So many benefits are going to come out of it. It’s building culture and community, and in the end you’re also saving dollars. I think every company can agree that having an office can really cut into your savings. There’s a lot of things that people need to open up to still, but I think it’s definitely the way to go.